Blueprint Binghamton: Forward Together is the 2014 update of the City of Binghamton’s Comprehensive Plan, a citizen-driven effort to plan for Binghamton’s future and move our City forward together. In 2011, the U.S. Department of Housing and Urban Development (HUD) awarded the City a Community Challenge Planning Grant to update the Comprehensive Plan and develop a corridor plan focused specifically on the design and redevelopment of Court and Main Streets. The planning process began in the fall of 2012, and included input from thousands of people. Their input, combined with an analysis of Binghamton today, form the vision for the City’s future and the basis for the action areas of the Plan. 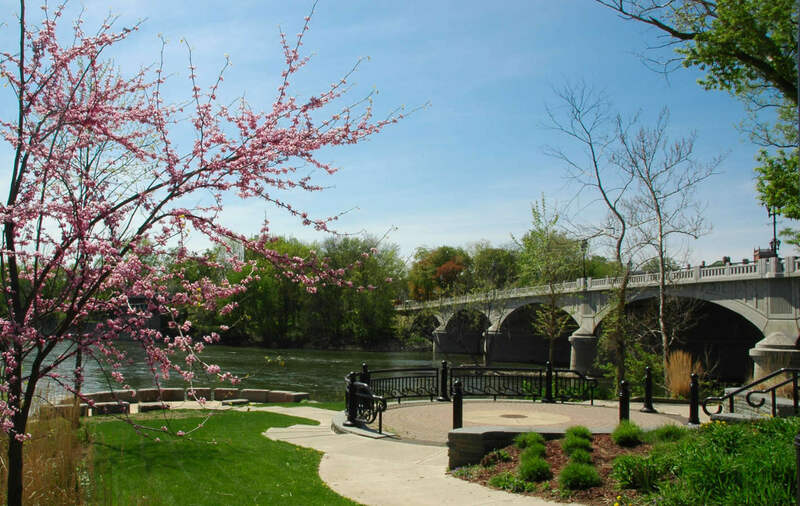 Since the last Comprehensive Plan in 2003, new businesses and housing have brought new life to Downtown; the City’s population has stabilized, and the waterfront trail and parks have given a boost to the quality of life and regional image of Binghamton. But there is still a lot to do to keep the City’s infrastructure and neighborhoods in good shape, advance the local economy, and fully realize the potential of Binghamton’s educational assets. Even more pressing, the devastating floods of the last few years have made it clear that the City must think proactively and prepare for tomorrow, today. That is where a Comprehensive Plan comes in. A comprehensive Plan is a State-mandated document that describes the City’s policies and actions related to Binghamton’s land use, neighborhoods, transportation, infrastructure, the economy, the environment and quality of life. Updating the Comprehensive Plan now provides the opportunity to build on the positive initiatives already in full swing while proactively tackling new challenges. The Comprehensive Plan, involving extensive community outreach, also provides a framework for the development of programmatic goals and budgetary planning for the upcoming 2015-2020 HUD Consolidated Plan, which identifies housing and community development priorities through communitywide dialogue. PHASE 1: ANALYSIS OF EXISTING CONDITIONS – The first phase of work was all about studying the City in detail, collecting data, conducting interviews, and listening to the concerns and ideas of the Binghamton community. PHASE 2: VISION + RECOMMENDATIONS – The second phase of work was about imagining the way things could be. The vision statement for Binghamton tomorrow blends all of the hopes and dreams that people shared and organizes those aspirations into key goals for the City and their partners to work toward. PHASE 3: PLAN DEVELOPMENT – The third phase of work brought the analysis, vision, and recommendations together into one plan –this Plan – complete with many pictures and quotes to reflect the citizen-driven process. This plan includes the action steps necessary to make our shared vision a reality. PHASE 4: FORM-BASED CODE FOR THE COURT STREET-MAIN STREET CORRIDOR – The fourth phase of the planning process provided an opportunity to kick-start implementation through the drafting of a form-based code for consideration as new zoning for Court and Main streets.